2013 reissue; mid-line pricing. Originally released in 1959. 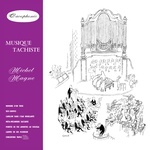 The debut release on Finders Keepers' experimental/jazz/avant-garde imprint Cacophonic, Musique Tachiste is the first in a series of rare records by French experimentalist Michel Magne. One of the very earliest full-length French concept albums -- part radical manifesto, part pantomime -- it combines found sounds and industrial noise with piano jazz alongside imposing avant-garde orchestral elements and Magne's own hammered cimbalom flourishes, as a physically humorous reaction to the bourgeoning musique concrète movement. This unique debut LP also provides an early insight into a fruitful soundtrack/conceptual jazz career that would see Magne collaborate with Jean-Claude Vannier, Martial Solal, and Artie Kaplan, and found the residential recording studio at Château d'Hérouville, nicknamed Strawberry Studios, where French artists like Magma, Catherine Ribeiro, Brigitte Fontaine, and Ange shared space with Terry Riley and Pink Floyd. 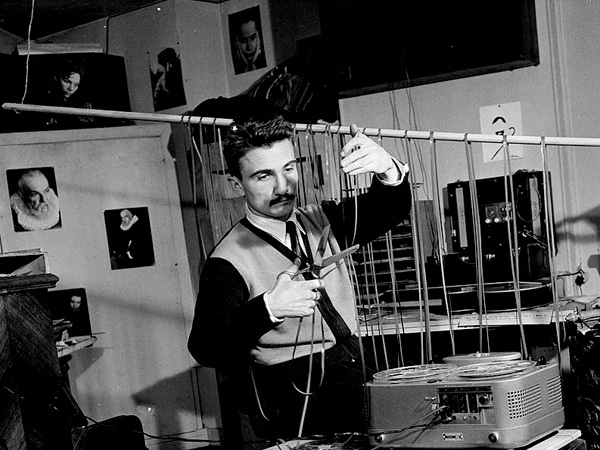 As a dedicated producer of thematic composition, anti-intellectual experimental performance, and modern jazz, Magne was also a well respected pioneer of France's signature film score sound of the late '60s. 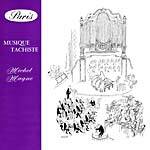 His self-initiated debut, Musique Tachiste, marks a stylistic crossroads where the likes of Egisto Macchi, Harry Partch, Rolf Liebermann, and Igor Wakhevitch overlap with the work of future collaborators and understudies like Jean-Claude Vannier and Martial Solal. This album is an essential forefather of European conceptual pop made at the start of a career that later furnished France with one of its most important residential studios and a discography of challenging LPs before Magne's untimely suicide in the 1984. Presented here for the first time since its initial humble pressing in its unabridged entirety complete with its collectible illustrated sleeve art, this album stands as the perfect debut release and musical modus operandi for the Cacophonic imprint.